#SCOTUS press office says Justice Ruth Bader Ginsburg has been admitted to GW Hospital this morning for "observation and treatment" after falling at her office last night, fracturing three ribs on her last side. Ginsburg, 85, fell in her chambers Wednesday. She went home for the night because she didn't think it was that serious, NBC News explains. 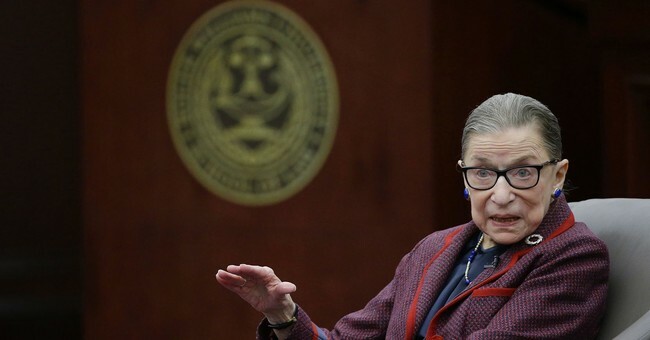 Justice Ginsburg, 85, fell down in her office last night, fracturing three ribs. Ginsburg was planning to be in court today for the formal welcome ceremony for newest Justice Brett Kavanaugh. Instead she will remain in the hospital.